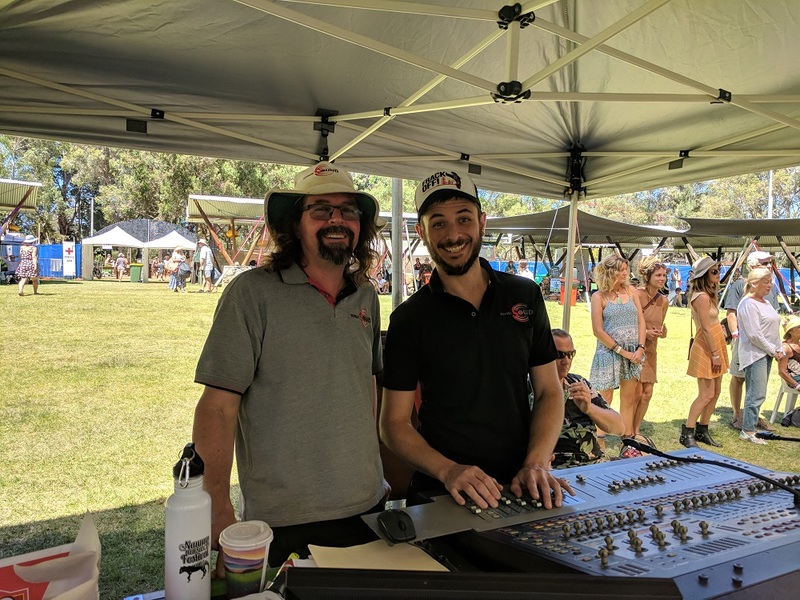 What a truly amazing festival Nannup was again this year. A huge, happy crowd enjoying great music, food, markets, street theatre, art, yoga, workshops and beautiful Nannup itself. A terrific lineup with Hussy Hicks, Jordie Lane, Mama Kin Spender, Swamp Think, The Ahern Brothers, Timothy Nelson, Wild Dingo Band, Southern River Band, Little Georgia, Kallidad, Ralway Bell and so, so many more. ‘Tigerville’ Stage was very popular this year and we had Walter Smith on FOH and Brent Walton on monitors. The Town Hall is a more intimate venue and it is in here that you have some of those wonderful spine tingling moments. Kym Wood is our sound engineer on this stage and reckons it is his favourite gig. The Nannup Hotel has a packed program of music over the weekend as well, so there are plenty of venues to keep festival folk entertained. Greg Clifford was our sound engineer on this stage.